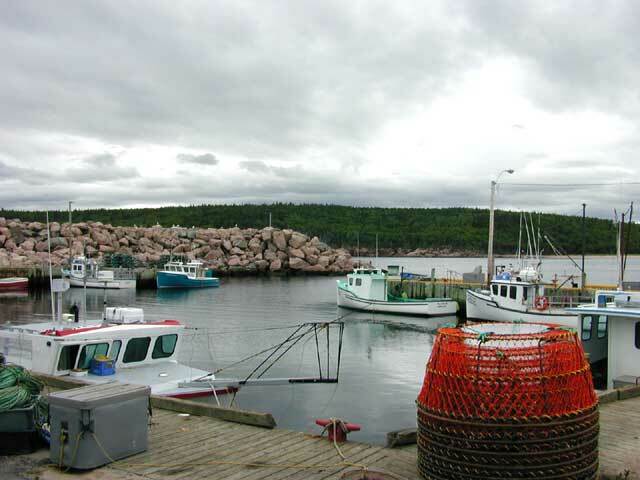 Cape Breton Island is the northeastern part of Nova Scotia. It is sparsely populated except near the water. Its people derive from Scottish and French settlers. At one time it had coal mines and a steel plant but both are gone now. Currently its main industries are fishing, lumber and tourism. It has also become the hub of the Celtic music revival. This was where Alexander Graham Bell did much of the development of his inventions. He did much work on gliders and powered airplanes here, flying them off the frozen harbor seen in the picture. The first Canadian flights of powered aircraft were accomplished here with airplanes developed by Bell. He also was the inventor of the hydrofoil and, using that device, built and operated the worlds fastest boat. It was powered by two large aircraft engines and attained speeds over 70 mph. There is a full scale reproduction of this boat here in his museum. The museum shows many of his inventions and is very well done. Very much worth a stop and look. 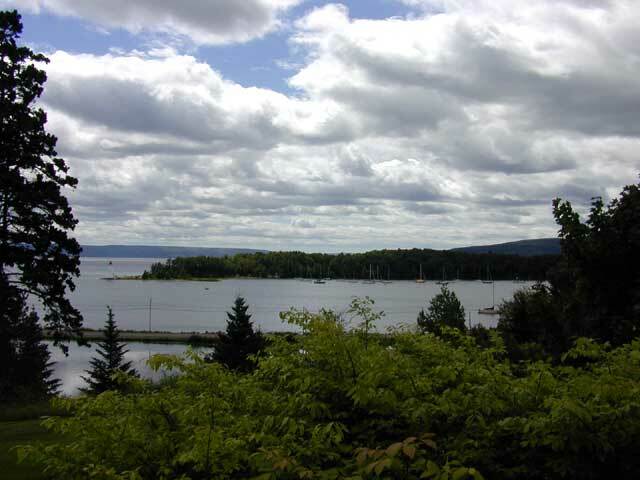 Named for John Cabot who explored this part of the world, this scenic drive explores the northern shores of Cape Breton. Rocky cliffs, windy roads, small fishing villages, great scenary and even an occasional whale, make it worthwhile daytrip. This village is french speaking and of the Acadian families. 7000 acres of land was given to the Acadians who returned here after their tragic deportation in 1755. 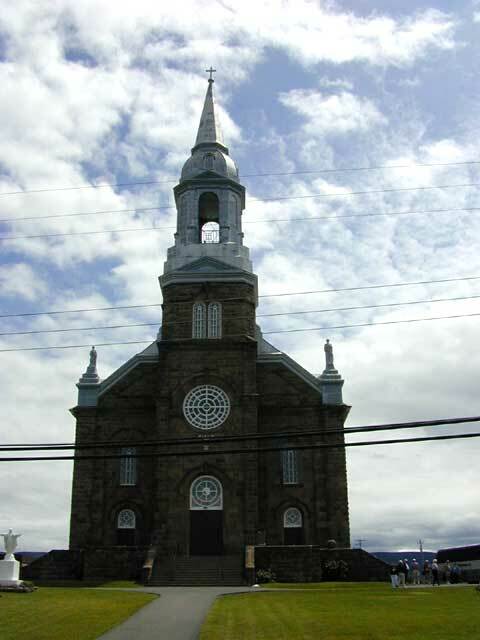 Eglise St. Pierre, this elaborate stone church, was built in the 1890s at Cheticamp. 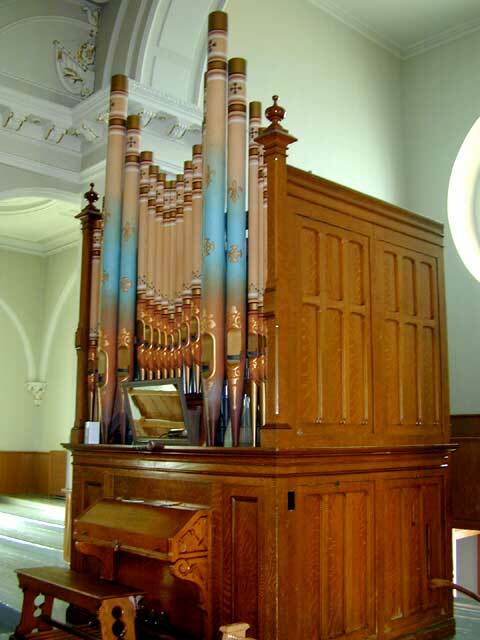 It contains a very unique organ that is still in use today. We stopped here to take a break and see how the traps works for catching snow crabs. These traps are set in up to 400 feet of water and can catch a couple of hundred pounds of crab at a time. The thing that I found incredible is that stone breakwater in the background has been rebuilt several times. Some of the winter storms produce waves strong enough to move those large stones, knocking down the breakwater. 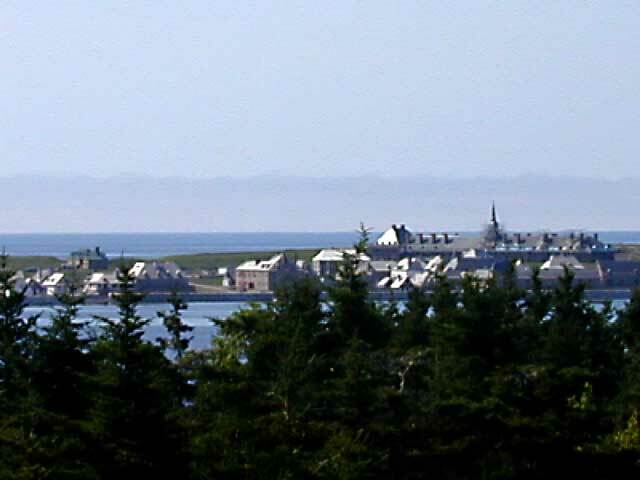 Louisbourg's history has been shaped by its harbor. The harbor is ice free all year long and is deep. It is also very close to the fishing banks. These attributes attracted the French to settle here in the 1700s. The town of Louisbourg was contained in the fortress, except for some support functions that were located outside the walls. The fortress was twice conquered by the British. The first time they left it standing and eventually returned it to the French in a treaty. Later the British had to take it again when they once again fell into war with the French. This time they demolished it. It was again returned to the French in some other treaty. About twenty percent has been restored and is open to the public. It is very interesting to learn how a fortress functions. We also learned the difference between a fort and a fortress. A fort has only a military function while a fortress contains a town and therefore has both a military and civil function.